For a refreshingly rosy drink, add Brockmans Gin, Combier Rose Liqueur, Lemon juice and Rosé wine to a shaker and shake over ice. Strain into a large stemmed wine glass filled with crushed ice. Alternatively add all the ingredients into a blender with ice cubes and blend until the ice is crushed. Scoop the frozen mixture into a large stemmed wine glass. 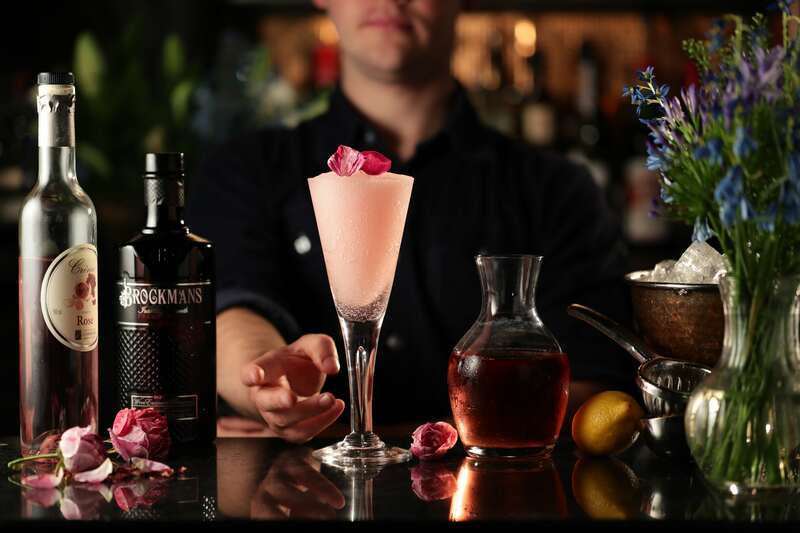 Add Brockmans Gin, Combier Rose Liqueur, Lemon juice and Rosé wine to a shaker. Strain the contents into a large stemmed wine glass filled with crushed ice.